Even the best writers can fail in choosing the best way to present an idea, which is why they edit the writing several times before publishing it. The truth is, no one creates a flawless piece of content the first time. In order to craft a good paper, you need to take your time and write a first, second, or as many drafts as necessary. Yes, this is something you can take care of by yourself, but the best way to make sure your paper is at its best is if you get a second pair of eyes to look at it. A fresh pair of eyes can point out to things that need changing and show you in which parts you expressed yourself best. Of course, the best place to get your paper edited is if you hire a professional editor to do this for you. Experience and expertise can do wonders for your written content, and turn an average paper into top-notch academic content. Editing is equally important as writing, maybe even more important. Basically, the editing part is your only way to make sure that your paper deserves the highest grade. And while you can ask your friends and family to get a glimpse at what you wrote, hiring a professional editor remains the safest and best idea. Fortunately, there are many companies that offer to do this for you at an affordable price. We are one of the best services for writing content on the web, but we have also build the highest reputation for proofreading and editing, too. Editing of academic papers is not at all easy. Unlike other forms of content, academic writings require professional expressing, academic language and content created according to the university or college guidelines and the professors' requirements. This is what our editors will do for you. We have employed the most experienced editors to help you connect with the writing and acknowledge your mistakes and weak spots. As the writer of the content, you can miss confusing sentences and strange word flow. Fortunately, we are always here to point this out. One of the most popular services in our list is editing. Seeing that dissertations and theses are lengthy papers and as such, cost more than the traditional essay, students often decide to write their own papers and send them out for a revision. Of course, we also offer separate dissertation chapters to give you a hint as to what your dissertation should look like, but we also take over finished dissertations and theses and make sure they are properly written. As you probably know already, there are many editing services online. Some will charge a fortune, while others will trick you into purchasing editing services with low fees. Do not let this from happening. If you are looking for a reliable editing service, we are your best choice. Our company bases its high reputation on the quality of the editing and writing team. In order to ensure your papers are edited to perfection, we have employed the most experienced, highly trained editors to work on the orders. In addition to checking for discrepancies in the content, we also check for plagiarism. Every academic paper needs to be properly cited and plagiarism-free, which is why we use the latest software to detect any plagiarism instances you may have missed. 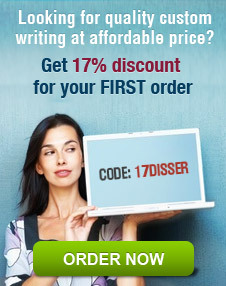 When you choose us for your papers, you are choosing a company with the strictest guarantees on the writing market. Not only we will keep all your information safe, but we also offer you free revisions of written content and money-back guarantee if something goes wrong. The quality of paper will not matter at all if you miss the deadline your instructor set. Knowing how important deadlines are, we made sure to create a flawless, spotless reputation of timely delivery. With our team, you no longer need to worry that the service will deliver your paper late. Are you ready to turn your paper into perfection? Our team will do exactly this, and all you have to do is purchase our services at the highly affordable rates we offer!